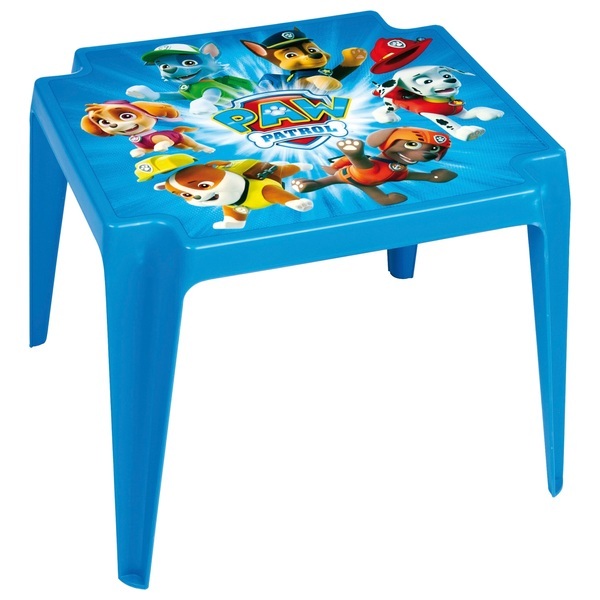 Little Paw Patrol fans will love this Paw Patrol Table. It’s the perfect height for little ones. Children will love meal times at this bright table with cool Paw Patrol graphics. Suitable for indoor and outdoor use. EU Warning: Not suitable for children under the age of 2 years. Only to be used under the direct supervision of an adult. Not recommended for use on smooth polished floors.